Mangaluru, Mar 29,2017: : An online shopper from the city who had purchased a trimmer from Flipkart was in for a surprise when the parcel received from a delivery boy contained stones. Gaurav Kottary who hails from Ira in Bantwal, but resides at Kottara in Mangaluru had ordered a trimmer from Flipkart on March 22. The parcel had arrived at his Kottara residence address on March 25. As Gaurav was away in Bantwal that day his friends had received the parcel. 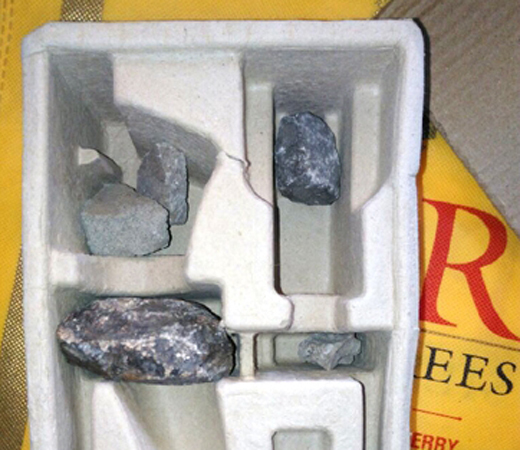 However when Gaurav returned on March 27 and opened the parcel he found four to five stones packed inside it. Gaurav has now lodged a complaint with Flipkart. Sometthing fishy.............I always shop online but never faced such fraud anytime . How can it happen? Are the people duped by online shopping? It is something which is not so easily believed as presently most of them shop online. Have the friends played some tricks? Because flipcart is the top online shopping site.